Every traveler’s bucket list should include viewing the Northern Lights, otherwise known as Aurora Borealis. It is by far one of nature’s most spectacular phenomena! The Aurora Borealis can only be seen within the auroral oval, which is centered on the earth’s North Magnetic Pole. The Aurora Borealis form when charged particles emitted from the sun get caught up in the earth’s magnetic field and collide with atoms and molecules in our atmosphere. The rays that you see are our magnetic field getting illuminated by the incoming energy. It’s like throwing dye in the sky! The Solar Maximum -- a period where the sun’s magnetic field on the solar equator rotates at a slightly faster pace than at the solar poles. The cycle between Solar Maximums takes an average of 11 years, and 2017 starts the downswing of the cycle. This means fewer nights filled with the aurora borealis, an effect that will likely last until around 2025 or even 2026. You'll still be able to see the lights, but it will be less frequent. Experts indicate the best time to travel to the auroral oval is in March for the spring equinox and September for the fall equinox. Aurora hunting is ultimately a game of luck, but if you find yourself in the right place at the right time, you will see anything from an ethereal green glow on the horizon to pulsating scarlet streaks across the sky. 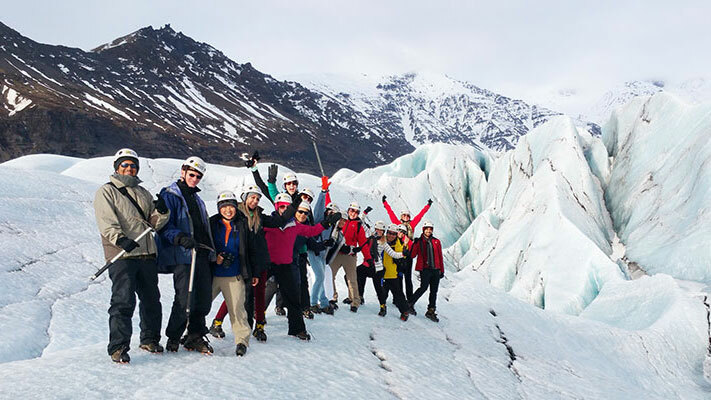 Check out our Discover South Iceland trip that happens every March and September!